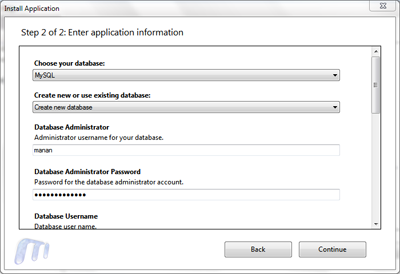 Setup IIS, MySQL & phpMyAdmin. 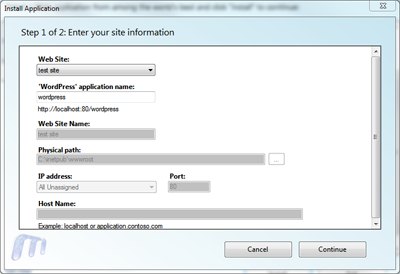 For Wordpress: WPI -> Web Applications –> Blogs -> check Wordpress -> Install. 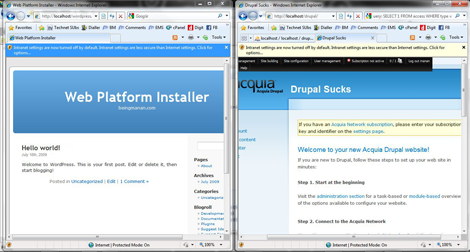 i was doin same thing yst in office using xamp server..